Through the following steps, you can create your personal winPenPack starting from the single menu or customize your own winPenPack by removing and adding programs. After downloading winPenPack Menu from the download page, uncompress the .zip archive through the Windows Unzip Wizard (right click on the .zip file icon >> " Extract all..."). Execute winPenPackNet.exe (double click on file). The winPenPack icon will appear in your System Tray. Portable Software are natively portable programs that, during execution, save settings in their own folder. To add a Portable Software, uncompress zipped files of each application, or the setup using Universal Extractor. Double-clicking on winPenPack System Tray icon, a configuration menu window will open. Drag the program executable into a category in configuration window with drag&drop, or add the program using the "Install Software" option available in configuration window. Portable Software updates are automatically reported from Updates module of winPenPack Menu. 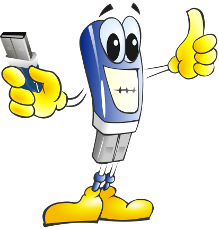 To update a Portable Software, you must perform the same operation described above, overwriting the old files. Note: programs belonging to this category save their settings into program folder itself (through .ini, .xml, .cfg, etc... files). Therefore, make sure that any personal files and any folders that contain settings are not overwritten by the update operation. To remove a Portable Software, simply select the software in menu list >> right click on it >> X Expert >> "Remove Software". X-Software are NOT natively portable programs, modified and "portabilized" by development Team through the universal launcher X-Launcher. They save their settings into winPenPack\User\Program_Name folder, but, exceptionally, can save some settings into winPenPack\Bin\Program_Name folder. X-Software can be automatically installed in the menu through the "Install Software" option (double click on winPenPack System Tray icon >> right click on configuration window >> "Install Software" >> select a compressed X-Software previously downloaded from the download section) or by draging the X-Software .zip package into a category in configuration window with drag&drop. X-Software updates are automatically reported from Updates module of winPenPack Menu. Is possible to update an X-Software to latest version installing the new program version in the same position of the old version, through the configuration menu option "Install Software". X-Software save user settings into \winPenPack\User\Program_name folder of winPenpack structure. Therefore, all settings are maintained also after updating the program. Note: exceptionally, X-Software can save some settings into \winPenPack\Bin\Program_name folder. In these cases, you have to follow the same procedure depicted for Portable Software, doing a backup of configuration files/folders to be reinserted in program folder after update. To remove an X-Software from winPenPack, simply select the software in menu list >> right click on it >> X Expert >> "Remove Software".